Are we finally about to get that HTC smartwatch in February? It's been a gold rush in the smartwatch space in the last 18 months, with everyone from Apple to Huawei to LG and Samsung hammering us with their best wrist-dwellers, but HTC has refused to join the party... but apparently, that's changing. The normally-reliable leaker extraordinaire @evleaks tweeted semi-cryptically "HTC fans, you'll finally have One watch to call your own come February." What this appears to be pointing to is a smartwatch from HTC branded as part of its premium "One" devices like the HTC One M9. 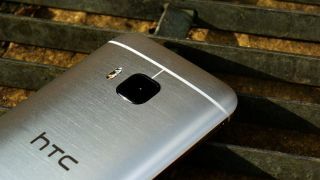 If we're looking at a February announcement (very likely at Mobile World Congress 2016) then it seems that such a device would presumably launch alongside next year's flagship phone, which we're presuming will be called the HTC One M10. Such a device has been a long time coming, with rumours stretching back over a year. We reported that HTC was planning a watch for last year's Mobile World Congress, but despite that no-show, the rumours have persisted. So will we see anything this time? And what will it be like? We're not sure yet, but we know that it is probably a sign that HTC should get on it when even traditional watchmakers are making smartwatches. The Tag Heuer Connected looks pretty fancy.